Tramec P shaft mounted helical gearbox resembles traditional helical shaft mount gear reducers from companies such as Dodge, Dorris, Falk, Browning, or Nord, but then you notice the input flange and if you look a little further you notice it has ratios to 63:1, and then from an engineering perspective you see the amount of torque for such a small package and wonder how can this be? The P can replace the traditional torque-arm mounted reducers, and then go further. 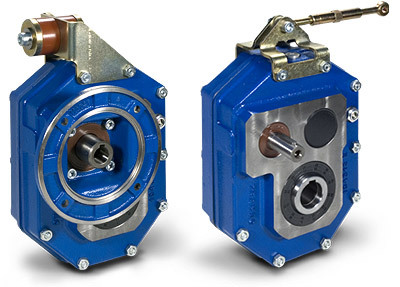 The option of a direct motor coupling eliminates all belts, guards, motor bases, and the headache that goes with them. The P is not your traditional shaved & hardened helical, these run on the same 16CrNi4 or 18NicrMo5 UNI7846 premium steel as our T & Z series: quench-hardened, case hardened, and ground primaries for long, efficient, near silent operation. Nobody likes a whiner. P series keeps the peace, because of its high quality ground gearing you will find it used in locations where noise is not tolerated, like picking & sorting conveyors. Yet its strong enough to pull yards and yards of gravel from a pit, and is priced at a point to give the "whiners" something to really whine about. Output flanges, output shafts, backstops, and various torque arms are some of our standard options available. Designers will appreciate the CAD and selection software is free and available on-line for your convenience 24/7/365... just like the work you'll get out of our P series...the Strong Silent Type. Six single reduction models - ratios 5, 6.3, and 8/1. Six double reduction models - ratios 10, 12.5, 16, 20, 25, 31.5, 40, 50, & 63/1. Compact & Standard Tension Arm mounting kit available. Polyester Epoxy Painted inside & out RAL Blue 5010. Shaft mount gear motor, Hydraulic shaft mount gear motor, and variable speed shaft mount available. 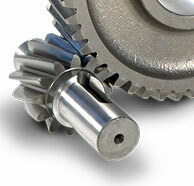 Gears - 16CrNi4 or 18NiCrMo5 UNI7846 Quench-hardened and case carborized and ground steel. Housings - Engineering Cast Iron, EN GJL 200 UNI EN 1561, ribbed internal & external for rigidity. 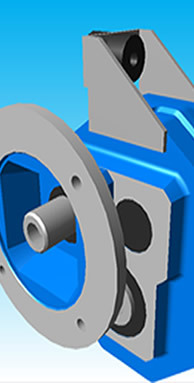 CNC precision machined & ground, gasket free & dowel pinned two piece leak free gearcase. Shipped wet & ready in SCH634 Synthetic gear lubricant for 20,000 hours of maintenance free operation. Oil sight glass, vents, and drain plugs in convenient, easy to access, multiple position locations. Contact your local TVT Distributor, Representative, or a TVT Engineer below to learn more about the P series for your shaft mount, conveyor, mixer, or other application. The P series is priced to be competitive to a Dodge, Browning, Falk, Sumitomo, or Dorris shaft mount, but is a more recent design to these competitors and makes full advantage of modern manufacturing and material science in the delivery of more torque for less money and for longer. Housing: Near-net Cast Iron Grade EN GJL 200 UNI EN 1561, internally ribbed & polyester epoxy painted in&out. 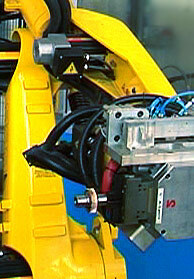 Shaft or Close Coupled C-Face Input style available. Servo input, and gearmotors, brake gearmotors available. Single or Double Shaft, Hollow, & Shrink Disc outputs with torque-arm, compact torque arm, or flanged output mounting. Gears: Case Carburized, quenched, and ground 16CrNi4 or 18NiCrMo5 Helical protuberance hobbed gears. 1071 to 40,000 in-lbs output torque (T2N). i = 5 to 63/1 standard ratios + near unlimited gear, motor, or Variator inputs from TVT. 10-16 Arc Min (5 to 8/1), and 16-20 Arc Min (10 to 63/1) standard backlash.